Once you've sold a product or provided the service in Canada, it's invoice time. An invoice not only shows the customer or client how much money is due but provides tax information. Both you and your customers need to be able to track how much HST/GST (Harmonized Sales Tax/Goods and Services Tax) and PST (Provincial Sales Tax) is paid or owed, for instance. Because invoices are such an important part of your business records, it's important to get them right. Use the enclosed sample invoice template with GST and PST taxes to make sure you are invoicing correctly. If applicable, an indication of items subject to PST at the provincial rate, or that the items are exempt, and either the total amount of PST charged or a statement that the PST is included and the total rate of tax. The first address on this free invoice template is your business address; the address below it is the address of the customer who has purchased the services. This sample invoice is a product invoice from one business to another in the same province; if you provide services, rather than sell products, you may wish to use the subheading "Description of the Work Performed" rather than "Item" as a heading, and if billing by the hour use "Hourly Rate" instead of "Unit Cost" and "Hours" instead of "Quantity." To use this sample invoice, select the portion of the web page containing the sample and copy/paste (using Windows, hit CTRL-C to copy and CTRL-V to paste) it into Word or some other word processor (or spreadsheet such as Excel), and substitute your relevant data, using your own customized business letterhead, if you like, and formatting as you desire. Note the statement at the bottom of the invoice, saying that the invoice amount is due within 30 days. 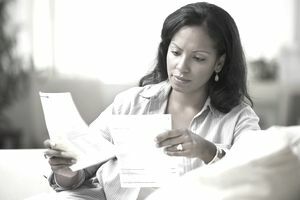 You'll often see invoices that say, "Payable Upon Receipt," but that's just asking for trouble because you don't necessarily know when your customer or client sees the invoice if you're sending it out. Using a specific terms statement like the one on this invoice gives your customer a due date, and helps you to avoid collection problems. the time limit for returns, for example, "items can be returned within 30 days from the date of purchase." As shown on the sample, the bottom of the invoice is a good place to mention any current sales or promotions, if applicable. Invoices are even easier to do if you use accounting software. Accounting software designed for small businesses can not only be used as POS (Point of Sale) systems and print out invoices on the spot but make it easier to calculate and keep track of taxes, such as the GST/HST. Accounting software packages allow you to easily customize the invoice format, including adding your business logo. Some also allow billing in multiple currencies and will automatically compute exchange rates.